My name is Eberhard Gräther. I'm founder and developer at Coati Software working on Sourcetrail, a visual source explorer for C, C++ and Java. This page contains earlier projects of mine developed during my undergraduate degree in MultiMediaTechnology at Salzburg University of Applied Sciences, where I majored in games. Paint, create and play your own games. 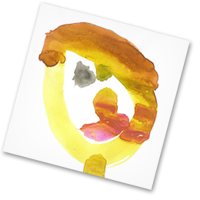 Playtin is an online platform for painting, creating and playing microgames. The games are short with mostly just one gameplay element, controlled with mouse clicks. While every visitor is able to play the games, only signed in users can create and publish their own games using the painting tool and a simple behavior editor. Agar Agar puts you in the role of a scientist observing and controlling colonies in a petri dish. Your goal is to populate the big cell with small germs in order to keep it alive. Stiring the agar-agar with your mouse is the only way of achieving this. The game was realized with WebGL, using glMatrix.js and Tween.js. MarbleRun was created in collaboration of art and engineering students and submitted to Mozilla Game On 2010 where it got awarded Best Overall. It was developed using PrototypeJS and box2d-js, the graphics rendering was done via Context2D of the HTML <canvas>. New features are added everytime when the length of the whole run reaches a certain number, so keep on building! Mine3D was created during my university studies as a programming beginners project using OpenFrameworks. As a true Minesweeper fan, I was curious if a 3D version would be fun to play. It works surprisingly well, but the game itself is quite complex. As a solution to this I introduced 'sweep' mode, where it is possible to delete mines instead of marking. This game was created as exercise for my studies. It can be played in double or single, against the computer. If the ball touches the border, the player who touched the ball at last, gets the point. The project hasn't been completed yet. The ball still behaves weird in some cases and the interface lacks some buttons. But it's quite funny to play, so give it a try! Bounce allows the user to interact with the system by throwing balls to a projection on the wall. In Oktober 2010 it was showed at the Salzburger Spielemesse with a choice of 3 minigames. It was developed as a voluntarily student project using OpenFrameworks and the included OpenCV-Addon. I tried to explain WebGL at the nextweb2012 barcamp at Salzburg University of Applied Sciences using this demo. I'm not sure whether the participants were able to understand every step necessary to build it, but I hope the source code can at least explain itself a little bit. This demo was an exercise for the Realtime Simulation course of my studies. You can build soft bodies out of cubes and let them fall on the ground afterwards. Originally new cubes could only be added per entering their position. Now the mouse-position is unprojected and cubes can be added per click. In wireframe-mode you can see all springs that generate the simulation. Again, I used glMatrix.js as math library. This experiment demonstrates boolean operations on convex meshes. There are two types of meshes, a cube and a sphere. With a click you can switch between the operations intersection and substraction. The combination of the meshes also changes at every second click. I used glMatrix.js for matrix and vector calculations. I developed this small experiment for measuring the difference in performance between two methods of luminance and alpha shading. Both methods use the same vertex-shader, but different fragment-shaders. The first uses a texture with mipmapping, the second determines luminance and alpha through distance calculations. I have not noticed any difference regarding the performance. The MapGenerator was a by-product of an online strategy game that is not finished so far. Maps are generated depending on various parameters and for visualization Raphaël is used. If you have an idea for a compatible game, play up!